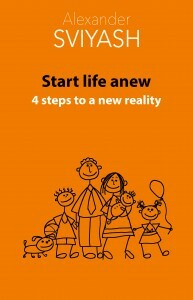 In the first part of this book, we will learn to understand what Life wants from us, what lessons it teaches us, and how we can become Life’s favorite children. 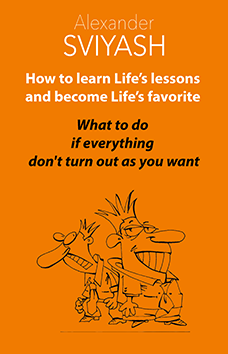 In the chapters to follow, we will tell you what conclusions to draw from these lessons and how to properly use the advantage of being a favorite child of Life. How can Life influence our behavior? Very simply—it either helps us or creates obstacles on the way toward our goals. Everyone has desires and goals in life—to get an education or a gratifying job, earn a lot of money, create a family, raise children, achieve success in a certain matter, etc. We all move toward our goals, and sooner or later, most of us achieve them; however, some people succeed quickly and easily, while for others it takes time and effort. Let us consider why it happens this way. 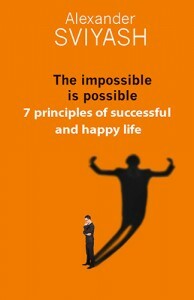 In theory, two different strategies of achieving any desired goal are possible. The first strategy is a path of strength, struggle, and overcoming difficulties. In the animal world, the best analogue is the behavior of a bison or a boar, which are not afraid of anything and tear down all the obstacles on the way toward their goal. Some people act like this in real life, overcoming numerous obstacles with persistence and fervor. It seems that their whole life is devoted to struggle. They even like obstacles because they allow them to live life to its fullest, as long as these people have good health, of course. It is clear that, to achieve our goals on this path, we need a great deal of courage, confidence in victory, a lot of energy, and the inborn qualities of a leader. But not very many of us possess these qualities. The second strategy is a path of calm and confidence in achieving a goal, one that virtually excludes taking part in conflicts, struggle, or overcoming large obstacles. It is a path of a wise man who does not waste his strength struggling against people who do not know what they do. In the animal world, a wild horse, for example, behaves in this manner. It is strong, but it prefers to listen and look around in case of a threat. This strategy allows the horse to avoid fighting without necessity. The second path works best for the vast majority of people, who do not possess outstanding inborn leadership qualities. We are going to consider this very path. It means that we will learn to move toward a desired goal, listening to the signals that Life constantly sends us. Life interacts with us all the time, but we are not accustomed to listening to its hints and giving it the right command. Nobody taught us how to do these things, so we have to make a lot of mistakes, which are the reasons why our desires do not come true. The main conclusion of our research of the failure when trying to achieve set goals is the following: The primary reason that we do not fulfill all of our desires is the fact that we are in conflict with the surrounding world or with ourselves. But one of the primary conditions for getting practical help from Life is an ability to accept the surrounding world as it is, despite its obvious, from our point of view, imperfection. It is necessary to note that it is very difficult to accept this position in our world, which is constantly being divided into the rich and poor, believers and non-believers, honest and dishonest people, etc. But it is the necessary condition. For you to more easily accept it, let us consider why we come into this world.